Aircraft force landed in a field. 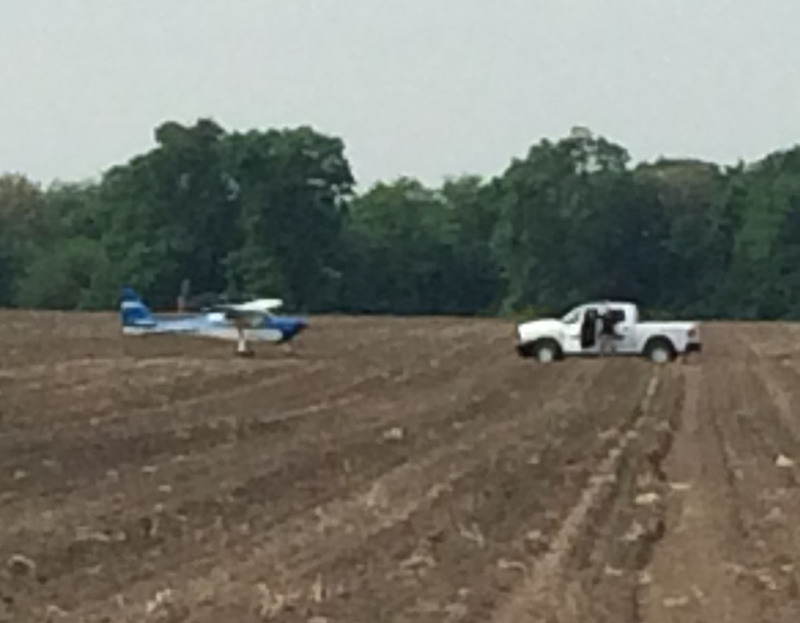 A Purdue plane made an emergency landing in a field near Shadeland Thursday afternoon. There were no injuries. A two-seater plane was forced to make an emergency landing near Shadeland at approximately 4:52 p.m. Thursday, according to authorities. The Purdue plane was being flown as part of the Able Flight program operated out of the Purdue Airport, according to a University spokesman. It had taken off with the intent of completing routine flying patterns and was on its way back to the airport when the plane experienced an engine failure, the Purdue spokesman said. 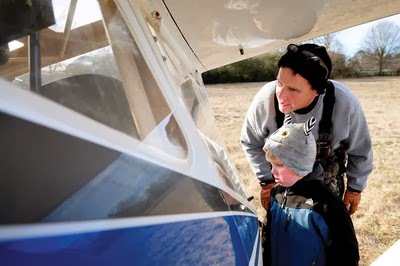 The Able Flight program provides people with disabilities the opportunity to acquire their light sport pilots license, according to a press release. 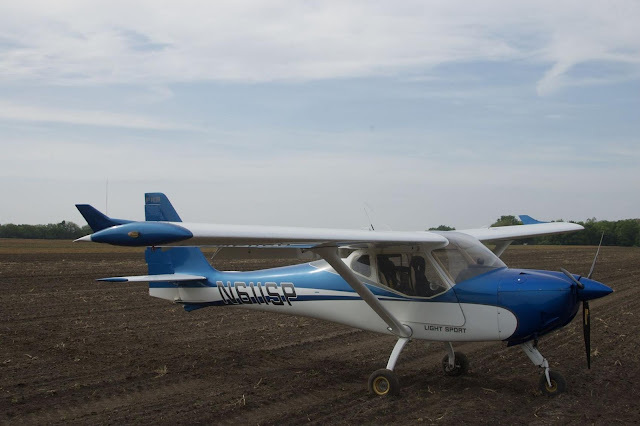 The intensive program requires students to fly with a Purdue flight instructor up to three times per day. Deputy Ryne Shoemaker said the instructor was piloting at the time of the emergency landing. The most recent reports indicate the two passengers suffered no injuries. After being cleared by medical staff on scene, the University spokesman said the two will be transported back to the Purdue airport. The plane will remain on sight until the Federal Aviation Administration conducts its investigation. At which point, it, too, will be transported back to the airport. A representative with the Tippecanoe County Sheriff's Department said the Purdue Police Department will take the lead in the investigation. WEST LAFAYETTE, Ind. — Losing power thousands of feet in the air might be a cause for concern, but two people inside a single-engine plane safely landed on terra firma southwest of the Purdue Airport. The plane is a university plane, and it lost power about 4:40 p.m. Thursday, according to the sheriff's office. 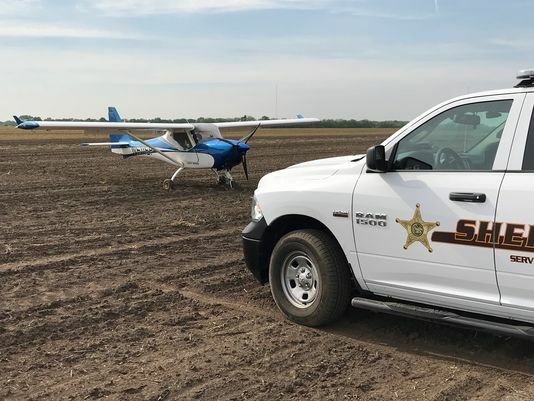 The plane's pilot glided the aircraft to a recently planted bean field north of Tippecanoe County Road 300 South and west of Shadeland, according to the sheriff's office. Neither of the two people in the plane suffered any injuries in the emergency landing. After an initial inspection of the plane, it did not appear to be damaged, according to the sheriff's office. Purdue's Hanger 6 investigators are heading up the probe and will contact the necessary agencies, including the Federal Aviation Administration. LAFAYETTE, Ind. (WLFI) — Emergency crews were called to a field near Shadeland Thursday afternoon for a report of a small plane making an emergency landing. It happened around 4:45 p.m. Initial reports indicated there were minor injuries. Deputies with the Tippecanoe County Sheriff's Office who were on scene said there were no injuries. Deputies said an instructor and student out of the Purdue University Airport were on board. They believe something went wrong with the engine and the plane just started to glide. The instructor was able to step in and make a quick decision. "She didn't think that the aircraft could make it back to the airport, so she found a safe field to land it. Nobody was injured and there was no damage done," said Deputy Ryne Shoemaker. The Federal Aviation Administration was called in to continue the investigation. The pilot reported that, while in cruise flight, the engine experienced a partial power loss. 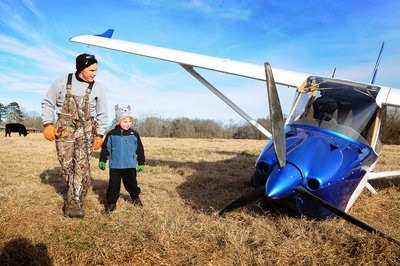 The airplane was unable to maintain altitude, so the pilot chose to perform an off-airport landing to an open field. During the landing roll, the airplane encountered a berm, became airborne, and then landed hard. Examination of the engine revealed that the carburetor float chamber vent lines had been incorrectly routed to the air filter. The engine manufacturer’s installation manual cautioned that the float chamber vent lines must not be routed into the slipstream or down the firewall because “pressure differences between the intake pressure in the carburetor chambers may lead to engine malfunction due to incorrect fuel supply.” Therefore, it is likely that the incorrectly installed vent line resulted in back pressure to the float bowl that exceeded the normal operating range, which would have affected the engine’s fuel-air mixture and led to the partial loss of engine power. A partial loss of engine power during cruise flight due to an overly lean fuel-air mixture, which resulted from an incorrectly installed float chamber vent line and led to a subsequent off-airport landing. On January 4, 2014, about 1530 eastern standard time, a FK Lightplanes FK9, light-sport airplane, N611SP, was substantially damaged following a partial loss of engine power while in cruise flight near Canton, Georgia. The pilot subsequently made an off airport forced landing to an open field. The certificated private pilot and passenger were not injured. Visual meteorological conditions prevailed and no flight plan was filed for the flight destined for Cobb County Airport – McCollum Field (RYY), Kennesaw, Georgia. The fight originated from Mustang Field Airport (0GA1), Hartwell, Georgia, about 1500. The airplane was registered to and operated by a private individual under the provisions of Title 14 Code of Federal Regulations Part 91 as a personal flight. According to the pilot, while in cruise flight the fuel pressure gauge indicated a decrease in fuel pressure from 5.4 gallons per hour (gph) to 0.1 gph and the rpm subsequently decreased. After activating the auxiliary fuel pump, he was able to restart the engine; however, only partial power was restored. Unable to maintain altitude, an off airport emergency landing was performed to a nearby field. Upon landing the airplane encountered a berm, became airborne, and landed hard, which resulted in the left main landing gear and nose landing gear to separating from the airplane. The pilot, age 30, held a private and sport pilot certificate for airplane single-engine land, and a third-class medical certificated issued December 10, 2012. The pilot reported 83.7 total flight hours with 16.8 of those hours in the accident aircraft make and model. The two-seat, high-wing, fixed-gear airplane was built in 2010. It was powered by a Rotax 912ULS 100-hp engine and was driven by a Warpdrive DUC 3-blade fixed-pitch propeller. The most recent condition inspection was completed on March 5, 2013 with a recorded aircraft time in service of 503.0 hours. According to the pilot, at the time of the accident, the aircraft had accumulated 590.9 total hours. The recorded weather at Cherokee County Airport (CNI), Canton, Georgia, which was located 8 miles to the northwest of the accident location, included overcast clouds at 1500 feet above ground level, wind from 090 degrees at 9 knots, temperature 2 degrees C, and dew point -11 degrees C.
Examination of the airplane by a Federal Aviation Administration (FAA) inspector revealed that it came to rest with the left wing contacting the ground and the firewall was damaged. The left wing fuel tank had an undetermined amount of fuel and the right wing fuel tank was devoid of fuel. Initial examination of the engine revealed compression on all cylinders and the automotive fuel, that was located throughout the fuel system, was free of debris. Examination of the engine by a representative from the engine manufacturer, with FAA oversight, revealed that the engine remained attached to the airframe and that the spark plugs appeared "normal" in appearance. The electric fuel pump was tested and was operational, fuel was present in the fuel bowls, and the airframe fuel vent tube was observed with no blockage noted. The engine was started and operated at normal power settings utilizing the fuel from the aircraft, with no abnormalities noted. Further examination revealed that the float chamber vent lines had been routed from the carburetor into the air filter. The engine did not have, nor was it required to have, carburetor heat and utilized radiant heating from the engine to minimize carburetor icing possibilities. A review of the Rotax installation manual for the 912 Series engine, Chapter 15.1 "Requirements on the carburetor" provided a caution message which stated in part, "The float chamber venting lines have to be routed into a ram-air and vacuum free zone or into the airbox…these lines must not be routed into the slipstream or down the firewall. Pressure differences between intake pressure in the carburetor chambers may lead to engine malfunction due to incorrect fuel supply." According to a representative from the engine manufacturer, the routing of the carburetor venting line to the air filters influenced the fuel-air mixture of the engine and, in certain flight conditions, the engine may experience a lack of fuel due in part to the back pressure in the float bowl exceeding the normal operating range. A review of FAA Special Airworthiness Information Bulletin, CE-09-35, dated June 30, 2009, revealed that the temperature and dew point at CNI was not conducive to carburetor icing. WOW. A skycatcher landing in a bean field and did NOT tip over? Luck and skills matched up here! Kudos to the pilot! I suggest anonymous above read the article before commenting. I believe they should disable the ability to make comments on this wonderful website since the majority of them are of zero use to anyone. Also, it’s is obvious most of the comments are from the same opiniionated parties.